This ECG was made shortly after this patient had been resuscitated. The patient was normothermic. 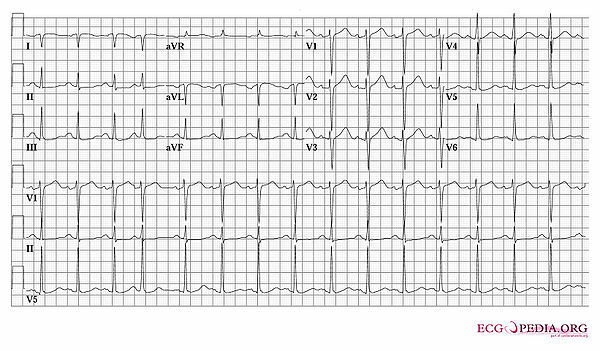 What arrhythmia likely initiated the syncope? What technical abnormality is seen? This page was last edited on 24 February 2010, at 08:09.